Place sprinkles in a shallow bowl and set aside. Remove ice cream from freezer and allow to soften just slightly. Add one heaping scoop of ice cream to flat side of one cookie. Add second cookie to the top, flat side down. Push down slightly to seal cookies and ice cream together to make a sandwich. Gently roll exposed ice cream in the sprinkles. 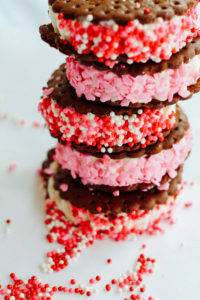 Place ice cream sandwiches in freezer for at least 1 hour or until fully set. Enjoy! 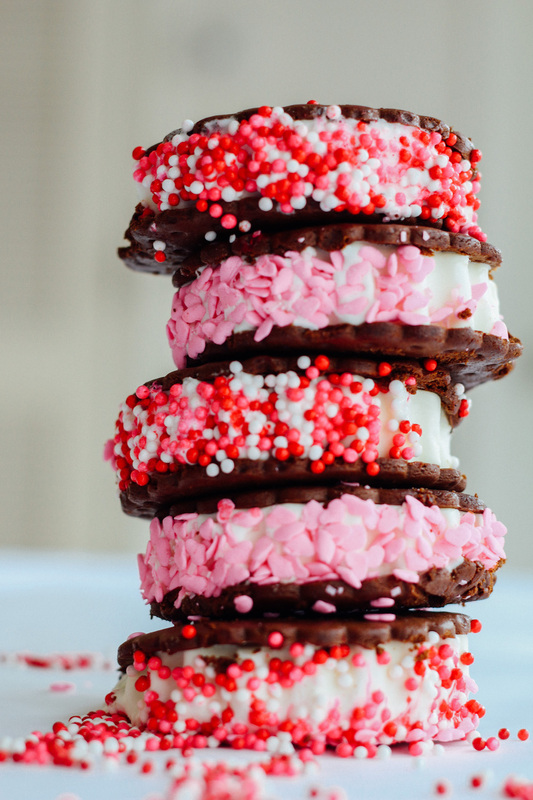 You could always buy store bought ice cream sandwiches and just roll in sprinkles!